Christmas is fast approaching. Christmas decorations are an integral part of expressing joy and just the ideal way to usher in the festive spirit. Bright colors, sparkling Bethlehem star, twinkling lights, Christmas decorations contribute a cheerful touch to Christmas celebration. If you are looking for the latest in Christmas decorations, there is a lot of information here. Unlock the deep reservoir of creativity. Make this year's Christmas decoration truly splendid! There are many types of attractive and graceful Christmas decorations. Some are appropriate for decorating indoors and some are specifically for the outdoors. Some like to decorate with traditional Christmas decorations. Some like to usher in newness every Christmas. Here are some interesting Christmas decorations facts. Stockings are a familiar Christmas decoration right from medieval times. Edward Johnson, Vice President of Edison's company was the first to use electric lights to decorate during Christmas. The earliest written record of an evergreen tree being decorated for Christmas is 1521. Christmas tree or 'Tannenbaum' considered a symbol of peace and eternal life, is the central piece of Christmas decoration. Christmas trees are edible; they are a good source of Vitamin C.
The poinsettia is considered to be the Christmas flower. Christmas candles placed in windows dates from the beginning of Christianity. The practice of using candies started 2,000 years back. The nativity scene depicting Christ's birth began in the 4th century A.D.
Wreath as a Christmas decoration is believed to signify the eternity or eternal life, with no beginning or an end. Christmas decorations are usually put up in late November or early December. If you want to follow the basic rule, you can decorate anytime after Thanksgiving. Some like to wait for the snow. If it has started snowing, consider it the right time to put up Christmas decorations. Decide on the focal area indoors and outdoors. Consider existing stock, Christmas decorations already in possession. Choose a theme. Think about colors. Check stock and shop for Christmas decorations pertaining to the theme. To decorate the yard with lights, examine access to electrical outlet. Think if considering Christmas decorations service is feasible. Decide on a convenient date to put up decorations. Rope in family members to help or ask friends. Do not procrastinate. Start work early. Last minute work can add up to stress level. Follow all safety precautions. Read directions on decorations carefully. More than indoor decoration, it is the yard that tends to be the cynosure of all eyes, spreads cheer, attracts attention and wins admiration of all. The reward is always well worth it! The amount of time and money required is proportionate to yard size and the desired appearance. Earmark a portion of the yard for Christmas decorations. Concentrate on one to three focal points. The outcome will be grand, elegant and exquisite. Choosing a theme or scheme literally means finishing half of the work. There are many choices such as period-wise, favorite color based or Christmas character based decorations. Most popular themes are nativity scenes, Santa's village, reindeer, snowmen, toy soldiers, Peanuts characters, candy canes and gingerbread cookies. Consider using an outdoor floodlight or spotlight to shine on the scene. Add a star. It could be simply irresistible to take eyes off. In case, you want a unique and an extraordinary Christmas decoration, consider taking help from Christmas decorating service providers. Choose a theme and color scheme. 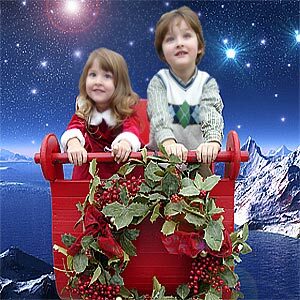 Consider the forest theme, manger scenes and include Santa riding on his sleigh. Keep a real or an artificial Christmas tree and add glory. Set up a snow mountain; include a snowman, elves and reindeer. Let them hang from tree tops. Use lawn garlands too. Most suitable for a large lawn, you can consider twig bird nests, pinecones, oak leaves, raffia bows, twig garlands, acorns and clusters of berries. Include statues, stones and bridges as part of the forest theme. Hang strings of white lights or multi-colored lights over trees and shrubs. Take some extra effort and plant shrubs and plants that match the Christmas decoration theme. If you have a birdbath tub, fill it with extra bauble. Inflatable decorations are the latest and widely used yard Christmas decorations. These are made of durable materials, heavy duty fabric, nylon and vinyl which can withstand a harsh winter. Wind, snow, sleet and rain, it can withstand any of these. Kids take an instant liking to these larger than life decorations. Easy to set, inflatable Santa, inflatable snowman, inflatable reindeer, inflatable penguins, fun characters such as Homer Simpson, the Grinch, Sponge Bob, inflatable nativity scene can all reach up to a maximum height of 10 feet. 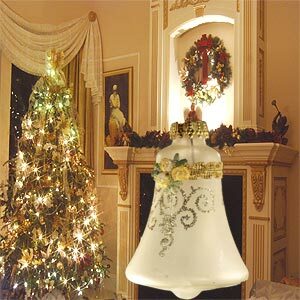 An electric pump that comes along with the purchase is used to inflate the decoration. You have the option to choose the height to match with the trees in the yards. As you pump, you can literally watch the decoration start to grow. Tether stakes and ropes are provided to secure the decorations to the ground. You may just need to add air as and when the decoration starts to lose some air, a result of fluctuating outside temperature. Inflatable decorations are easy to assemble, are maintenance-free, easy to store, don't demand much storage space and are affordable. Inflatable decorations for the yard have a built-in internal light bulb. If you have rows of lights, lighted icicles and bush covers, use them to light up the pathways, hang in trees or high branches. It is an age old Christian tradition to decorate with lights during Christmas. What is Christmas without the sparkle and glow of indoor and outdoor Christmas Lights? There are options- energy-saving LEDs, icicle lights, whacky novelty strings. The blink and twinkling lights resemble stars and are a must-have for Christmas decorations. In the yard, the tree would be the ideal place to put lights on it. You can put multi-colored lights or single string lighting. Modern LED lights come in a variety of shapes and use far lesser energy unlike other types. Consider using battery powered lights in those places that are far from commercial power supply. LED lights are environment friendly and utilize 80% less energy than standard Christmas lights. Lighted Christmas garlands, lighted turkey, inflatable Santa in sleigh with reindeer, ginger bread boy, artificial Christmas tree, wreaths, bells and stockings, animated deer and silhouettes - choose a yard theme and match with Christmas yard decorations that make the yard look the best in your neighborhood. Lovers of history, Lovers of antiques, those who are nostalgic about the past, and those who like to bring back old Christmas spirit would all prefer vintage Christmas decorations. These are either inherited and passed down from family members or bought at auctions, antique shops, thrift stores, yard sales or online. The best time to buy vintage Christmas decorations is the off-season. Another easy way is to gather antique items at home like vintage toys, used quilts, linens, kitchen equipment, books, cards, pottery or even glass vases. Check out how these can be effectively fit in the theme chosen for this year's Christmas. Hang miniature vintage toys from indoor Christmas tree and from trees in the yard and lawn. Display all vases together preferably indoors, at a select focal point. Fill the vases with greenery. Hang traditional pictures of mother Mary and Jesus Christ, Santa Claus and reindeers. Make Christmas stockings from old quilts and arrange on fireplace mantles and hang from trees. Collect as many vintage Christmas cards and arrange them on a vintage table. Collect vintage brooches and decorate Christmas tree. Collect vintage ornaments and display at a focal point. Use vintage furniture. Arrange vintage toys on them. Glass bells, vintage ornaments can be used to fill vintage Christmas tree. Tie a satin ribbon around vintage books and place them under a Christmas tree. Don't forget to include the most important vintage Christian decoration - the aluminum Christmas tree. Hang vintage Christmas lanterns atop trees in the yard and lawn. The Victorian era lasted from 1835 to 1903. Victorian Christmas decoration should reflect in all aspects of decorations. There was a distinct way the Victorians decorated homes for special occasions. They loved bright colors. They used candles, oil lamps and gal lamps. They used exquisitely designed furniture. A perfect Victorian Christmas decorations would reflect all these. Hang bright colored knick knacks from trees. Make trees colorful and fanciful. Use candles to adorn Christmas trees. Include gas lights, candle lights and oil lamps. Include ornate woven mantles for the dining table. Use gold-sprayed and painted pine cones around the dining area and other parts of the house. Decorate doors, fireplace mantles and windows with Christmas wreaths and garlands. Use winter berry plant holly to decorate traditional Christmas pudding. Don't forget to include the mistletoe. Hang branches of mistletoe from ceilings and place it on doors. Get the kids involved and it can turn out to be a jolly, exciting, challenging project. And above all, helps save money. You can either get help from craft enthusiasts to teach you how to do various Christmas decorations or buy a craft book. Learning online is another option. Christmas cards, party invitations, garlands, nativity scenes, star, Santa, snowman, elves, different hanging decorations, almost anything can be made from the convenience of home. Select things to be made, the items required to make them. Collect all that is available at home such as paper plates, string, satin ribbons and shinny wrapping paper. Shop for the rest and then start the process of making unique, personalized homemade Christmas decorations. There are professional Christmas decorating service providers who can design and decorate home, yard and lawn for a nominal fee. Find the nearest Christmas decorating service provider. Be it for malls, homes, offices, hospitals, every installation is unique. After evaluating the property and knowing the desired Christmas decorating outlook, they provide many options. After installation, the service provider makes few visits to check if everything is all right. In case, you need only the Christmas decorations, you have the option to rent select Christmas decorations for a nominal fee for a particular period. First Published Date: 26 Nov 2009 Last modified Date: April 18 2019 This page may have been updated recently as new information is available or the content may have been edited for better readability.